Professional athletes and celebrities are teeing off for a day of golf, contest holes and lunch on the course, and it is all for a good cause. July 16th marks the 13th annual charity golf tournament by Gold’s Gym to benefit the American Diabetes Association at Badlands Country Club, Las Vegas. This charity golf tournament is a major fundraiser for the Association, which is the nation’s premier voluntary health organization supporting diabetes research, information and advocacy. Founded in 1940, the Association provides services to hundreds of communities across the country. Its collaboration with Gold’s Gym promises a fun-filled day of golf, while raising money for a good cause. Gene LaMott – president and CEO of Gold’s Gym International – says, “Diabetes is one of the biggest health crises facing our country today, and we are taking action to turn this epidemic around.” Gold’s Gym is the largest co-ed gym chain in the world, helping almost 3 million members in 27 countries achieve their individual potential. 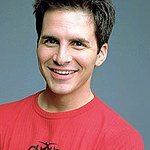 Among the celebrities who will take part in the tournament are Hal Sparks, James Lafferty, Chad Faust, Boti Bliss, Annie Burgstede, Jessica Gower, Vida Guerra and Hulk Hogan. 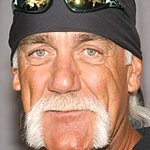 Hogan, who is pending for a celebrity appreciation award, is also now involved in “The Official Uniting Towel Wave of America”, a project to unite Americans by bringing together famously feuding pairs next year on July 4th. The project’s slogan is “If these two can unite for our country, don’t you think we all can?”.